Dans cette rubrique, vous pouvez découvrir les différents vins et comment choisir le bon vin. In thisheading, you can discover the various wines and how to choose the good wine.Trong phần này, quý vị và các bạn có thể tìm thấy được những loại rượu vang, tính cách của nó về sức khoẻ, và làm thế nào dể chọn lựa rượu vang ngon. 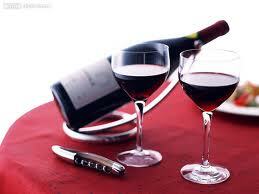 Red Wine - Heart Health benefits ? Seriously excellent entry to study on.! I am actually intrigued with this post. Searching forward for more information. bien évidemment, comme nguyentonhao.e-monsite.com cependant vous avez besoin de tester l'orthographe sur plusieurs de vos messages. Un certain nombre d'entre eux sont en proie à des problèmes d'orthographe et j'ai trouver qu'il est très difficile de raconter la réalité pourtant je vais certainement revenir. và Happy New Year! Je n'ai rien contre l'article, mais je suis en désaccord avec un couple de points à certaines extenct. Je suis probablement une minorité bien, lol. Merci pour le partage. I truly wanted to compose a simple comment to say thanks to you for all of the great concepts you are writing at this website. My incredibly long internet look up has at the end been honored with incredibly good facts and strategies to talk about with my friends and classmates. I ?d admit that most of us site visitors actually are quite lucky to exist in a fantastic place with so many outstanding people with useful suggestions. I feel quite fortunate to have come across the webpage and look forward to tons of more fun times reading here. Thank you once again for a lot of things. I would like add my website here : In French http://www.trivin-sa.fr and in Vietnamese and in english http://www.trivin-sa.com.